This is just a taste of some of the weight loss myths that are floating around in the media today, fuelling much of the confusion surrounding weight loss. I’m sure more than a few of you have found yourself debating with a coworker/parent/friend about what is supposedly ‘healthy’ and the best way to lose weight, myself included! But essentially the subjects we are arguing about are often such minute factors when it comes to dieting. With a multitude of articles that seem to come out on a daily basis saying all these different ways and foods that can cause weight loss, we seem to have lost what is really at the crux of losing weight and being able to maintain it. So here I have put together, from a combination of personal experience and research, what I believe are the most important factors when it comes to successful weight loss. I will attempt to place all those dieting ‘myths’ within this framework, and hopefully clarify which are the basic principles that should first be adhered to. This is hands-down the most important part of dieting and often – quite frustratingly – massively overlooked. Debating what you should be eating, when you should be eating it, and what nutrients it contains really mean nothing when it comes to weight loss if you are not getting that energy balance correct. It’s a very simple science, if you burn more calories than you consume, your body will use other sources (a combination of fat and muscle) for energy, and you will lose weight. Whether you create this deficit through your diet, or burning more calories through exercise, or a combination of the two, it does not matter. At the end of it all just remember, its calories-in versus calories-out. Working out how many calories your body needs to maintain/lose/gain weight may take a little bit of experimentation but you can gain a rough estimate using an online calculator. Although take these numbers with a pinch of salt, as how many calories someone can maintain their own weight at is hugely dependent from person to person. Most people have no idea what calories they consume in a day, and whilst you can lose weight without ever knowing the exact numbers, the basis of why weight loss will have occurred is due to the fact more calories were used for energy than they were consumed. My second most important factor would be what macronutrient type these calories are coming from: carbs, fats or protein. 1g of carb has 4 calories, 1g protein has 4 calories, and 1g fat has 9 calories. Whilst carbs and protein have the same amount of calories, ensuring a good proportion of the calories consumed are coming from protein is vital to any dieting regime. Protein is what our muscles are made from, helping us to rebuild and recover the muscle tissue that can breakdown from exercising. Protein helps us grow more muscle, and the more muscle you have, the more calories your body uses, which will eventually mean that creating a calorie deficit is much easier. It also helps your body keep that muscle when in a calorie deficit, meaning that more fat supplies will be burned for energy. Protein also has just 4 calories per one gram, whereas fats have 9, so looking again at the calories-in vs –calories-out model, consuming lean protein as opposed to fats will help keep the overall calories lower. Adjusting the amount of the other two macro-nutrients, carbs and fats, but making sure that overall a calorific deficit is still evident, can vary from person to person. Some people benefit from lower carbs, some benefit from lower fats, and it’s a topic that’s hotly debated. The truth is that science can’t prove which is better, and in reality it is what suits your lifestyle the best. If you find you have no energy without carbs then reducing them can make dieting much more difficult and less likely to be adhered to. Some people find that eating more fat makes them feel fuller, and the diet becomes easier. Foods that are deemed ‘healthy’ in the media are perceived as so due to the fact that they don’t have huge numbers of added carbs and fats in them, and therefore they are overall less in calories, and this is why a diet made up of these foods is favoured. This doesn’t, however, mean these are ‘magical’ foods that will make you lose weight. Eating unlimited vegetables could, in theory, still make you gain weight as they are made up of carbs and therefore have calories in them. 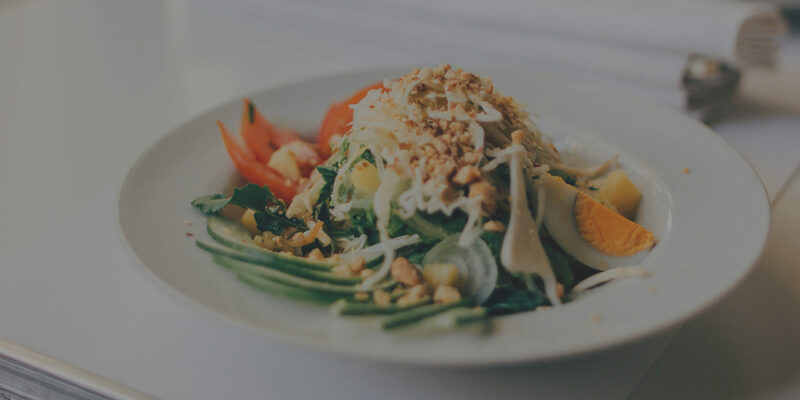 30g of carbs from salad vegetables or 30g of carbs from sweets is no different in terms of weight loss and calories consumed. Bare in mind we’re talking actual carb value here – not net weight. For example 100g of lettuce contains about 2g carbs, whereas 100g of tangfastics have 78g of carbs. As you can see, it’s really more of a case of portion control as 30g carbs from salad would be a lot of food whereas probably only a handful of sweets – which is why understanding food labels and serving sizes is so important! But nevertheless a carb is a carb, and they all have 4 calories per 1 gram, and where you chose to get those numbers from is up to you. What DO set apart the ‘healthier’ unprocessed food options from ‘unhealthy’ processed foods are not only the lower macronutrient profile but the next stage within that, the micronutrients. For example carbs are made up of sugar and fibre, and fibre helps with digestion and takes longer to break down than sugar. Simple sugars break down very quickly, and it has been argued that if they are not used immediately they are more likely to turn to fat. This is where some myths about carbs and sugars come in and why they can be seen as ‘fattening’, but again this is not the be-all and end-all of dieting. Whilst ensuring your fiber is high enough for your digestion to function properly, eating a high amount of sugar-filled carbs instead is not ‘going to make you fat’ – if it’s all within the calorific deficit. Types of fats have also become under some scrutiny, but again it’s not really something that needs to be looked at in much detail. Fats that are rich in omega-3 are good as they are easily absorbed, for example oily fish and avocado, and saturated fats are seen as less favorable. But again, if you eat cheese (or any food high in saturated fat) and it’s all within a caloric deficit, it’s not really going to make any difference to your weight loss. Other micronutrients such as vitamins, minerals and sodium can also be monitored and they help the body to function optimally. Some fruits and vegetables are rich in these, which is why the media portrays them as ‘super’ foods. Consuming more fruits and vegetables as opposed to pizza and chocolate will definitely help weight loss, but it is important to understand that main reason for this is that the calories are less, not their nutrient density. 4. Water, supplements, meal frequency and timing. Consuming more water is a great tool for dieters. Whilst it will not make you lose weight, being hydrated will help you feel better at lower calories, and may help with bloating. I find it also clears my skin, helps me feel more alert, fills me up, and helps put cravings at bay. Supplements are at the very bottom of the hierarchy, because until you have the above factors sorted, they will hardly do much (if anything) at all. They do what they say on the tin, they SUPPLEMENT your diet. For example, protein powder helps to hit those protein macros, and I have explained earlier why this is important. Fish oils, digestion aids such as lactobillious, and multi-vitamins are a great way of getting LOADS of those micronutrients in, which would be difficult to get that same amount just from foods. Consumption of fat-burners (CLA, L-Carnitine, green tea extract etc, etc) may help a tiny weeny bit with fat loss, but if you do not have all the above factors down to a T, I wouldn’t bother. And even at that point I probably wouldn’t bother – they make up such a tiny percentile of what will make the most difference to your body and you probably can achieve that with diet and exercise alone. Meal timing and frequency again is also a debated topic that in my opinion makes such a small amount of difference, I don’t even bother arguing about it! Whilst it’s important to ensure you have protein in your system before a workout to avoid muscle breakdown, and it could help to have carbs based around your workouts (before and after), these are all smaller factors that for most people do not need to be fixated on and are unlikely to make much difference. Hell, you can easily eat a massive bowl of pasta before bed if you wanted to and still lose weight, as long as you are still in the deficit. These factors are all talking about what might be ‘optimal’, but if the basics aren’t sorted, there’s really no point discussing it in too much depth. So that’s it! 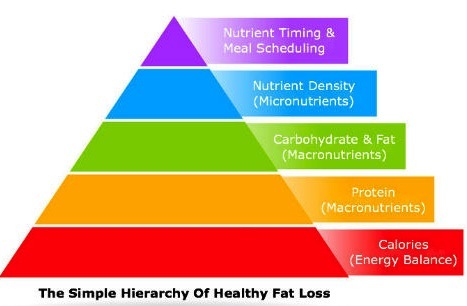 My basic guide to fat loss. I know haven’t even gone into types of training and types of cardio, because again I believe it’s really all about creating that calorie deficit. I hope this helps more of you to understand why it is sometimes so hard to answer concisely how to have a ‘better diet’ and this has opened your eyes to the basics principles of dieting! Learning and understanding what you eat can be your biggest tool, as well as not believing everything you hear in the media.